We contacted RNL Drain Solutions, who promptly visited site and supplied a quote for repairs. They returned to site the following day, having ordered parts which were needed and complete the repair to our satisfaction. Excellent service all round. I bumped into Ras at a networking morning and little did I know I would need his services. When do you think you will ever need a drain consultant? So when you are looking to build an extension, house, annexe or the like you will need this guy. From the on-set Ras took full control of the situation liaising with all the right people and getting all the right trades in together. He went to see people in person and delivered things by hand so he knew things had been completed. He project managed the WHOLE process from start to finish emailing me updates along the way and keeping me in the loop of any changes. All I did as you will need to do is pay the fee for his very professional services. Ras I wish you every success now and in the future. Butlin Property Services have used the services of RNL Drainage Solutions many times in the past and have found them to be very competent and reliable giving ourselves good service at all times, therefore we will continue to use the services of RNL in the future. I would like to thank Ras and all at RNL Drainage Solutions for their super quick response, professionalism and excellent communication. 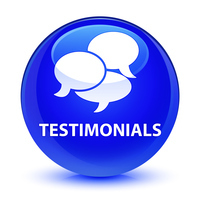 It was great dealing with a company that understood my needs from the offset and helped me complete the Surveys that had been requested to secure my Mortgage. Following a recent contact from one of my clients whom I provided a structural survey with recommendations to carry out a CCTV survey and report on drainage system. I contacted RNL. Drainage Solutions who responded to the request to carry out the survey quickly and efficiently and provided a concise report to suit our requirements. I would have no hesitation in using RNLDS again. I met Ras when he was newly established and he was very enthusiastic about his new business venture. It was a few weeks later that I had a call from an existing customer who asked if I knew anyone who could clear a blocked drain. I referred him to Ras who was very grateful for the business, I later received a call from my customer Keith who was very complimentary about the services received from RNL drainage solutions. Ras had called him within the hour and had attended and fixed the problem the same day. He was polite and friendly and very competitive with the price. I would not hesitate to recommend Ras to any of my business or personal colleagues who may require similar services. RNL Drainage Solutions have provided a very professional, reliable and thorough service every time we have called upon them, keeping us informed of on-site developments and assisting us where possible at short notice.